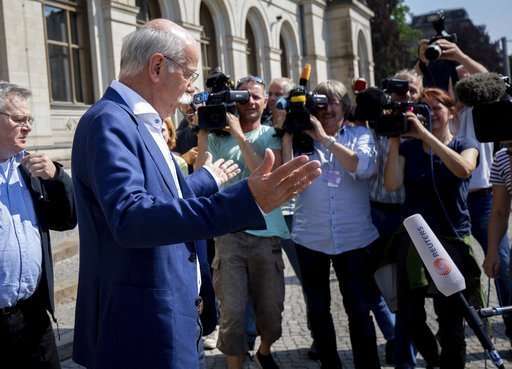 German authorities are giving automaker Daimler until mid-June to submit a plan for how it will fix diesel-powered vans that don't meet emissions requirements. 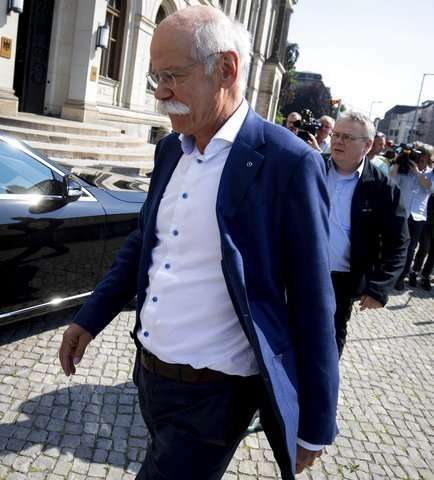 The announcement came after Daimler chairman Dieter Zetsche was summoned to the transport ministry on Monday, the latest instance of a German auto executive being grilled over excessive emissions in diesel vehicles . Daimler was ordered to recall over 6,000 Mercedes-Benz Vito delivery vans last week after Germany's motor vehicle authority concluded the vans used a so-called defeat device to skirt emissions limits. The company said it disagreed with authorities' assessment, but would prepare software updates for the vehicles' engine control systems and carry out the updates at no cost to vehicle owners. 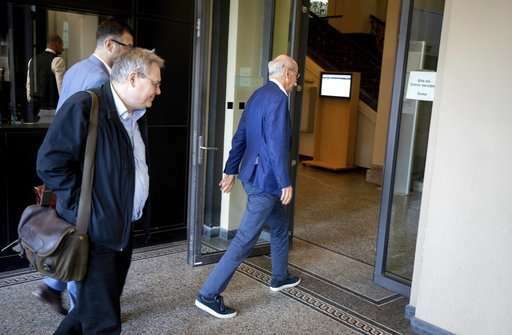 Andreas Scheuer, Germany's transport minister, said he plans to have another meeting with Zetsche in two weeks. The motor vehicle authority set a June 15 deadline for Daimler to produce a "technical solution and its implementation." Daimler's troubles are the latest in a string of issues to affect diesel-powered vehicles since it emerged in 2015 that German rival Volkswagen had fitted cars with illegal software used to cheat on U.S. diesel emissions tests. In Germany, drivers of older diesel cars face the prospect of driving bans in some cities as part of efforts to combat air pollution. A federal court ruled in February that cities can ban diesels, and Hamburg will become the first to impose such restrictions later this week, banishing them from two streets. Germany's governing coalition, conscious of the economic significance of the country's auto industry, is keen to avoid driving bans. It has also squabbled over whether diesel cars should be required to undergo overhauls that go beyond software fixes. Scheuer says this is unnecessary, but Environment Minister Svenja Schulze argues that software updates won't be enough to comply with European air quality rules. Schulze suggested in an interview Monday with the daily Die Welt that cars could be overhauled step by step, starting "where there is a threat of driving bans and people are particularly affected by bad air."